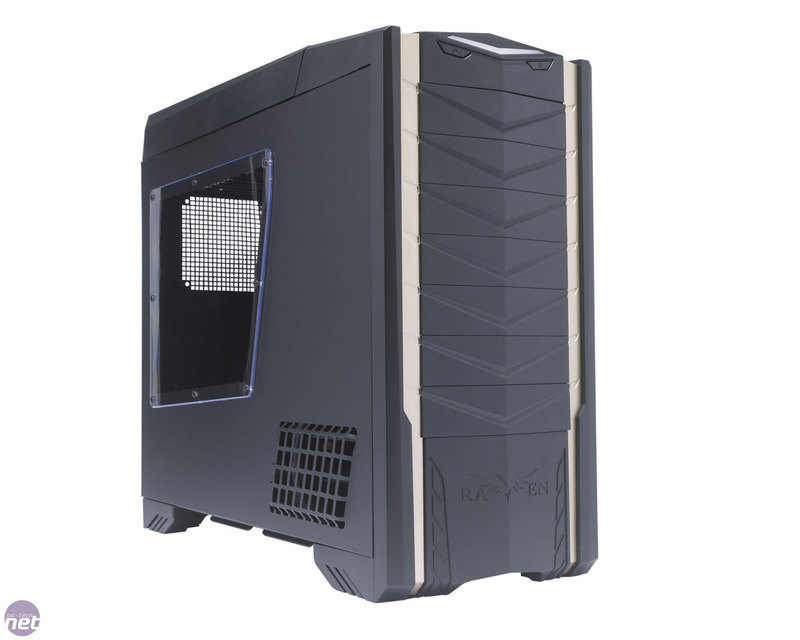 SilverStone’s Raven cases have a relatively long history. The original Raven was the first case to feature SilverStone’s rotated motherboard design, and the Raven RV02 significantly improved on that design in many areas. 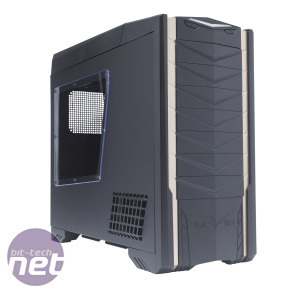 It offered excellent cooling thanks to a large bank of 180mm fans, and it looked sleek and elegant. The Raven RV02-E then replaced the three 180mm fans with Air Penetrator models to improve the cooling further. However, the Raven RV03 is another step forward, and SilverStone has thrown out practically every convention in case design to build a unique chassis. The first of the RV03's features that we noticed was its distinctive colour scheme. Two gold (or Champagne silver, as SilverStone describes this colour) strips run the length of the roof and the front fascia. Whether or not this is a welcome addition is largely a matter of personal taste, but while most of us appreciated the flash of colour, we agreed that gold was a poor choice – a neutral colour such as silver would have been more fitting. The coloured strips aren’t the only change to the exterior of the case either, as the RV03 has taken on a squat, boxy demeanour. 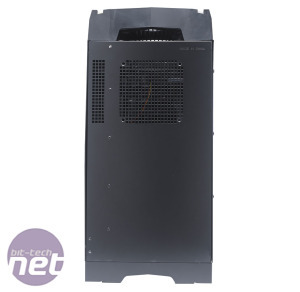 This is due in large part to the shortening of the case from the 643mm height of the RV02 to 570mm; this makes the RV03 feel more compact and chunky, although it can still accommodate an E-ATX motherboard. 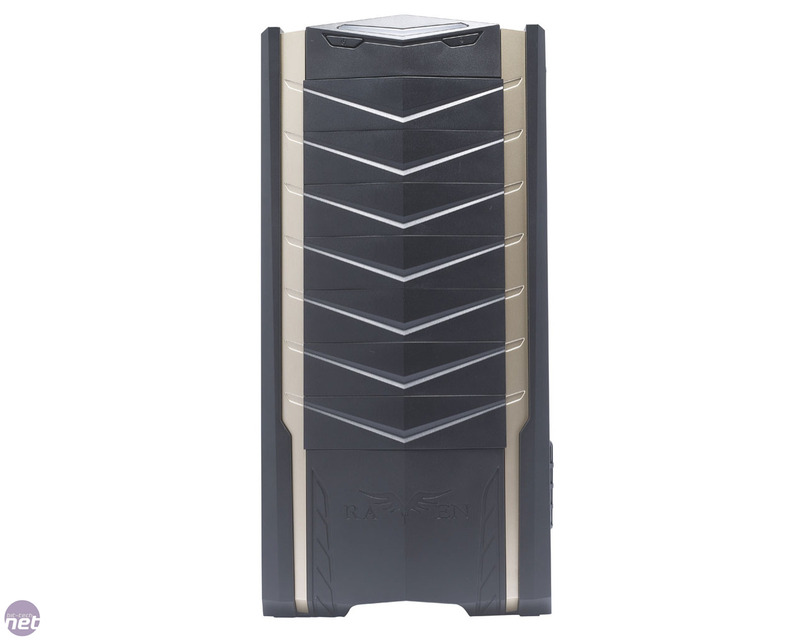 The case clearly belongs to the Raven range, though; the front and roof still sport the plated, almost armour-like styling of the first two Raven cases. This has evolved, however, and the removable roof grille now has an aggressive, supercar feel to it rather than the understated styling of the RV02. 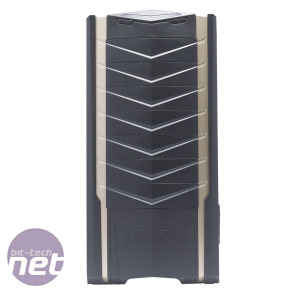 Meanwhile, the angular cover for the front panel connections is in keeping with the case’s armoured appearance, and hides the usual microphone and headphone connections, as well as a pair of USB 3 ports. Annoyingly, though, the type of plastic used in the exterior portions of the case felt cheaper and less solid than the plastic used on the RV02. Removing the side panels reveals that the RV03’s interior has been similarly redesigned. It’s still recognisable as a Raven case, but enough has changed to make you sit up and take note. 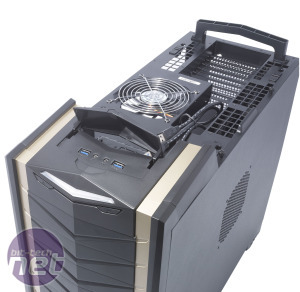 The first change, which has enabled the case to shrink in depth, is that the PSU is now located at the bottom of the front of the case rather than the upper rear, as in the RV02. 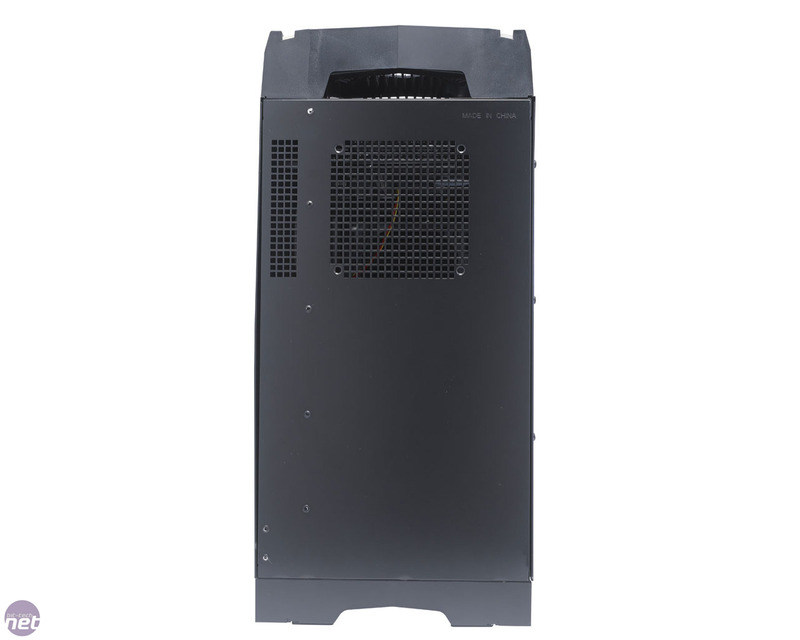 Instead, the PSU is mounted laterally across the case, which is why large grilles have been added to the lower front edges of both side panels. 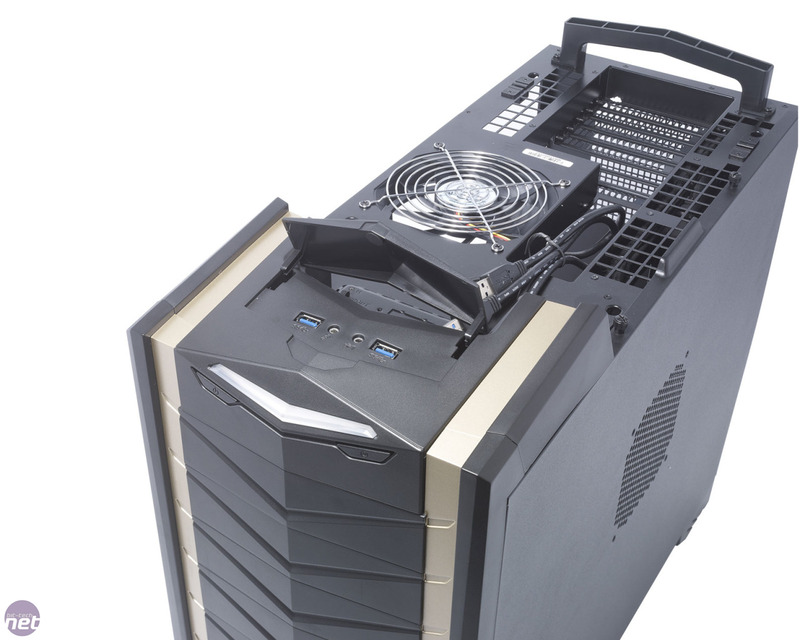 This arrangement necessitates the use of a right-angled PSU power cable, which SilverStone has hard-wired under the front of the case.